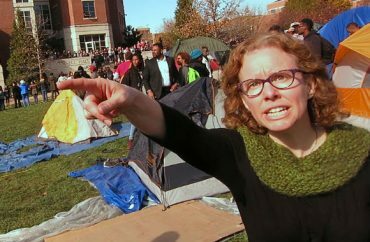 Ben Trachtenberg recently issued a postmortem of the University of Missouri’s failures in its handling of 2015’s race protests, whose aftermath has seen a dramatic enrollment plunge leading to mass layoffs (and, bizarrely, a $1 million “diversity audit“). The law professor, who chaired the public university’s faculty policy council until last year, has some curious advice for administrators: Let the troublemakers think they can do it again. In an academic paper scheduled for publishing in the Kentucky Law Journal, Trachtenberg concludes that “minority students must maintain the ability to credibly threaten costly unrest,” comparing them to unions threatening strikes to bend administrators to their will. He recognizes that the triggering incident for the protest was the allegation by Payton Head, student government president, that racial slurs were shouted at him from a red pickup truck (though Trachtenberg incorrectly says it was “on campus”). In a sense, Mizzou has returned to normal, and it is working toward improvement with strategies similar to those of peer institutions. Chances are, a “new normal” has also arrived in American higher education. Minority students have again awakened to their power, and the very education that universities provide helps them to understand just how much injustice there is to protest. Absent a remarkable and unexpected national racial reconciliation, campuses will continue to be home to intelligent, motivated activists for racial justice. Dr. King observed during the March on Washington for Jobs and Freedom, “In a sense we’ve come to our nation’s capital to cash a check.” … Administrators should expect continued efforts to cash checks drawn upon the promises universities have made. 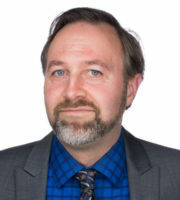 He’s not wrong: University administrators, including bloated and ineffective diversity bureaucracies, have repeatedly told certain student groups that they are victims whose grievances can never be adequately remedied, because their goalposts must never stop moving. Their role model is the pessimist Ta-Nehisi Coates, not the optimist Barack Obama. And why were Prof. Melissa Click and administrator Janna Basler harassing student journalists who were simply doing their jobs? These authority figures were trying to shield students from being asked questions by other students. According to Inside Higher Ed, which highlighted Trachtenberg’s paper, student activists still have plenty to complain about. The share of black students has also fallen half a percentage point at Mizzou, to 6.7 percent. One leader of the 2015 protests makes clear he’s not happy with even Mizzou’s token moves to protect freedom of expression from disruptive protests. Read Trachtenberg’s paper and the Inside Higher Ed article. MORE: It’s racist to bag megaphones at student protests?